October 17, 1932 was a bad day for Dutch Schultz, the legendary mobster, bootlegger and racketeer. 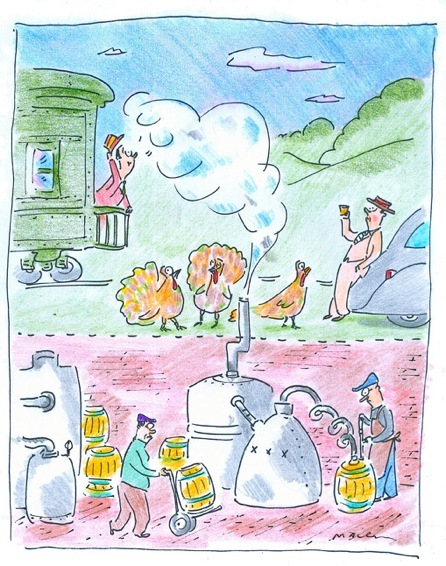 After several attempts, Federal agents finally raided and shut down an elaborate bootlegging operation, bankrolled by Schultz, on a Pine Plains, NY “turkey farm” owned by former New York City police officer, Patrick Ryan. That memorable day served as inspiration for Dutch’s Spirits, a soon-to-open artisanal distillery project. Named for the iconic gangster, and tapping the compelling local history and lively micro-distillation movement in New York State, Dutch’s Spirits inhabits the same location as Harvest Homestead Farm, where Schultz set up his bootlegging complex. 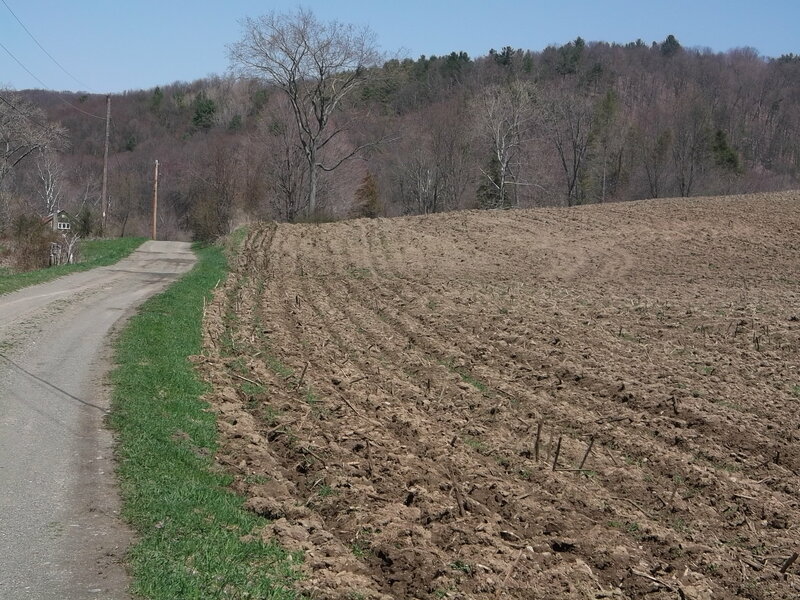 Part archeological dig, part construction zone and part pastoral farm, the site at 98 Ryan Road in Pine Plains doesn’t look like much at first glance, but will soon bring a new edge to the area’s agritourism scene. Business partners Ariel Schlein and Alex Adams are the owners of Dutch’s Spirits. 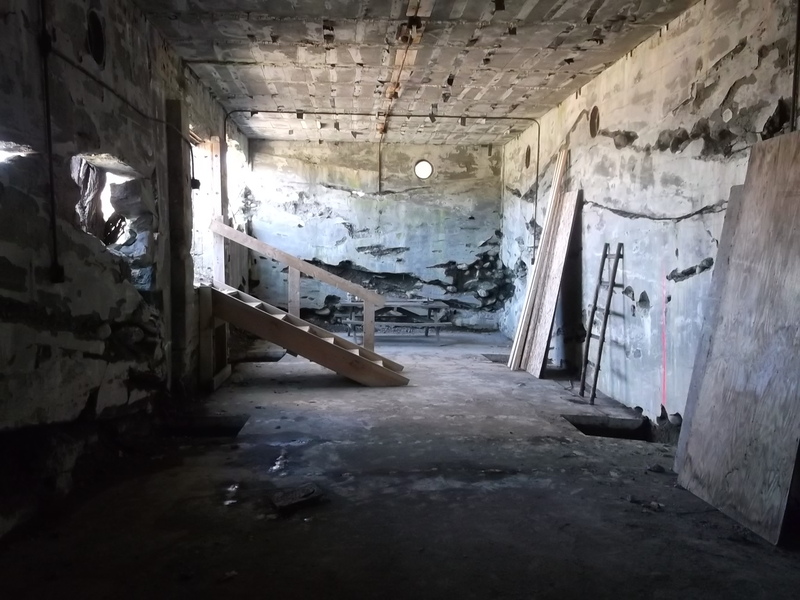 Over the last few years, they have shown perseverance and savvy in getting the site officially registered as a “Bootleg Era Bunker Complex”, eligible for the State and National Registers of Historical Places. 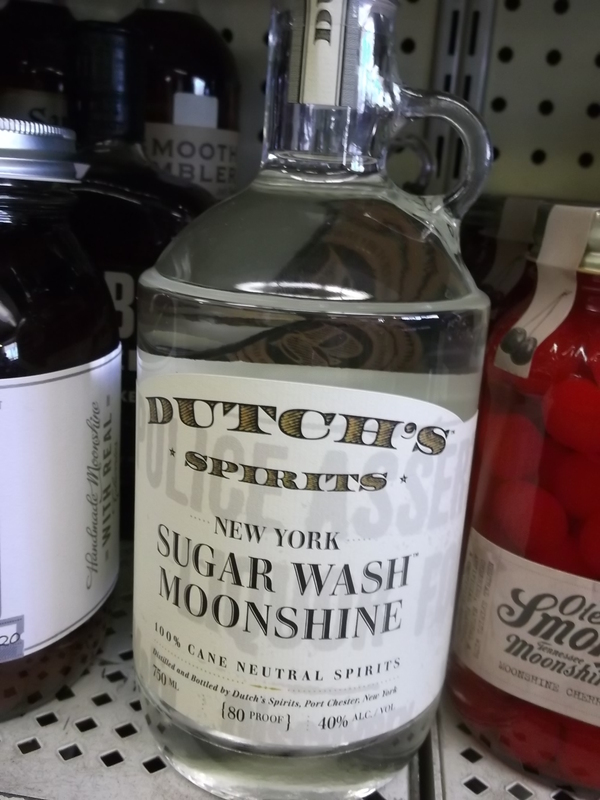 They’ve also rolled out several well-received spirituous products, like Dutch’s Spirit’s Sugar Wash Moonshine, before having their own physical distillery up and running. 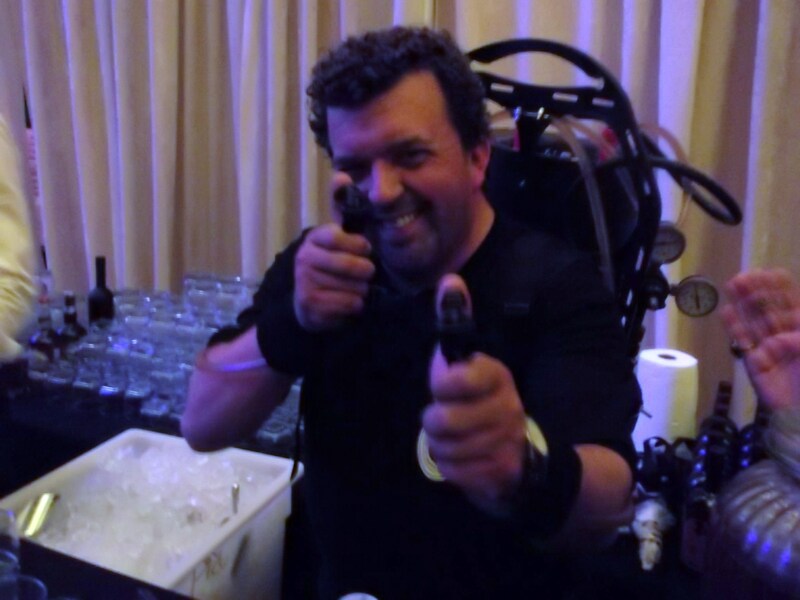 A key member of the Dutch Spirits team, Ethan Kelley (who heads Sales & Marketing), was highly visible at the recent Manhattan Cocktail Classic Gala, where he cheekily “injected” celebrants with Dutch’s Stissing Mountain Punch at the “Taste NY” pavilion. The aim is also to become a self-sustaining farm operation. Thirty-five of the 70 acres currently under cultivation at the farm have been planted in corn this spring, and another 35 with malting barley, both of which will be used for Dutch’s Spirits’ initial foray into whiskeys this fall. The distillery and grounds should be ready for tastings and tours starting late this autumn, according to Schlein, when all of Dutch’s Spirits’ operations will come under one roof in Pine Plains — legally this time. This entry was posted in Eco-friendly Products, Hudson Valley, Hudson Valley Farms, Spirits + Cocktails, Travel and tagged About Town, Ariel Schlein, Dutch Schultz, Dutch's Spirits, Ethan Kelley, Hudson Valley distilleries, Manhattan Cocktail Classic 2013, Pine Plains. Bookmark the permalink.